1. Material:Modal; 2.Color:Orange, Watermelon Red, Roseo, Coffee, Light Purple, Dark Silver Grey, Violet.3.Size:Free Size(Only One Size); 4. 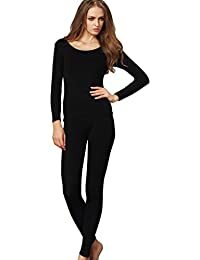 Women’s thermal underwear comes in various types of fabric.